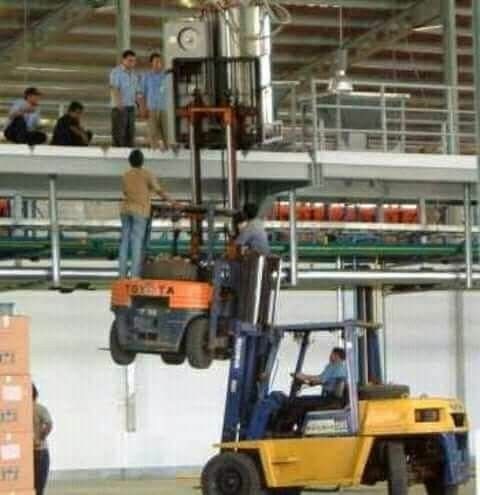 People tend to think less of the safety needs every time they are at work. For that reason, every now and then we hear about different accidents that sound so stupid they make you doubt about the worker capacity. If it isn't because a bad decision regarding the place of work, it has to do with the stupidest ways of covering important parts of the body. I'm talking about the face or the hands that are left to the will of God. Of course, we couldn't leave the legs aside. Most times people seem to forget they have legs and work as if there was nothing down the waist. Yeah… I'm being careful, boss, don't you worry about a thing. 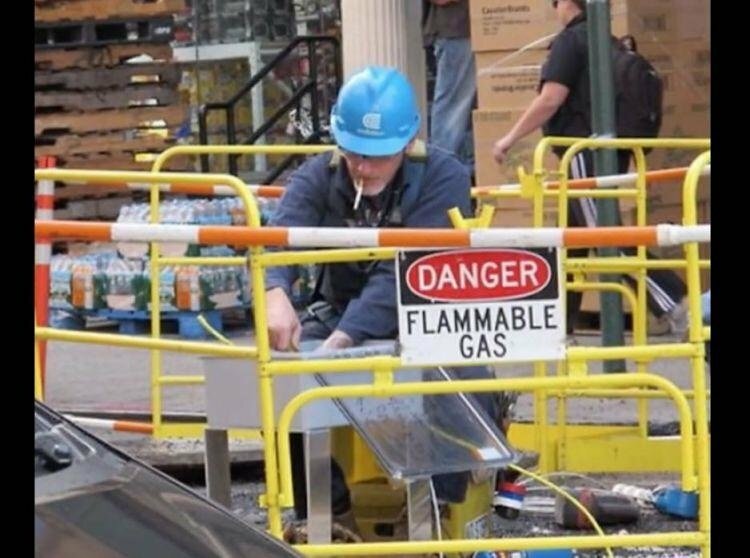 Did this worker read the sign in front of his nose or is he just waiting for the whole place to blow up? Just as safe as those times when you put a chair above the table in order to change the lamps from your high ceiling. What could go wrong with this amazing technique?